IT outsourcing is considered now as a major trend in the healthcare industry to promote better quality of services for its clients and company savings. As per MarketsandMarkets report <http://www.marketsandmarkets.com/Market-Reports/healthcare-it-outsourcing-market-1219.html>, they predicted that the healthcare IT outsourcing market (Payer and Provider) will be worth $50.4 billion by 2018 according to its research and analysis done in major areas like North America, Europe, Asia and the Pacific and the rest of the world. In their forecast, they see a huge growth in the global market for healthcare IT outsourcing from health insurance industry, healthcare systems industry and pharmaceutical industry from $35 billion in 2013, which is a 7.6% jump in its compounded annual growth rate (CAGR). This observation was based on the increasing costs of healthcare in the global setting such as insurance coverage, economy, and other administrative expenses among others, which then pushes healthcare providers to be more cost-efficient. 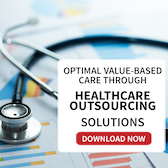 Since scrimping on patient care is not an option, outsourcing IT services proves to be the best route in savings as well as improving service quality. The report mentions that the market for healthcare IT outsourcing is divided into provider, payer, life sciences, operational services and infrastructure. It is also determined by industries including healthcare systems (clinics, hospitals and diagnostic laboratories), healthcare insurance, pharmaceutical, biotechnology corporations, and clinical research institutes. 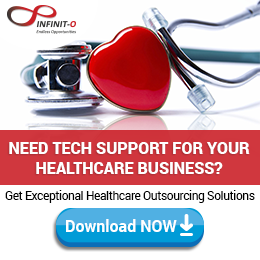 In connection with the previous post we have on outsourcing IT for healthcare companies, this recent study is confirmed that factors affecting healthcare providers to outsource its IT services are due to lack of in-house IT proficiency, the rolling out of ICD-10 compliance this year and other integrated solutions requirement. Aside from these, the increase in aging population and medical tourism in many regions of Asia are possible influencers in the healthcare IT outsourcing market. You can obviously see the huge potential of healthcare IT outsourcing in the coming years given this new study. 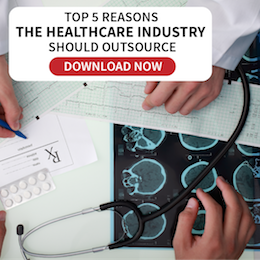 Hence, it is fitting to consider healthcare IT outsourcing in your company now to strengthen your in-house IT department, if not fully integrate IT outsourcing altogether.